Going to the Cies Islands is like traveling to the Caribbean with icy water. 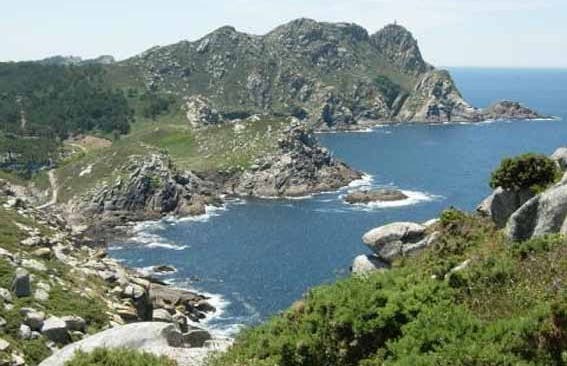 It is only twenty minutes by boat from Vigo. You can also get there from Bayonne. I enjoy visiting the area, walking the paths and swimming in the icy water of the Rhodes beach. It is unfortunate that the British newspaper The Guardian proclaimed this beach as the best beach as this has lead to an increase in visitors. It is losing its wild and rugged spirit as a result. I recommend going to The South Island, or San Martin, instead. It has a smaller beach than that of Rhodes but also very beautiful. This island is however only accessible by private boat.